Organised by MA Culture, Criticism and Curation students at Central Saint Martins. 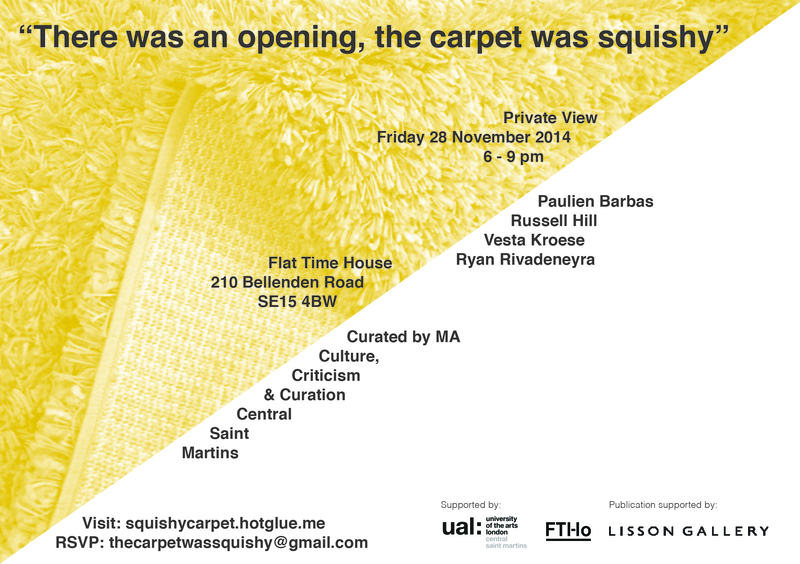 Organised by MA Culture, Criticism and Curation students at Central Saint Martins, There was an opening, the carpet was squishy is an exhibition of works by Paulien Barbas, Russell Hill, Vesta Kroese and Ryan Rivadeneyra at Flat Time House. These distinctive international artists will work in video, performance and installation to reimagine the possibilities of experimental practice. 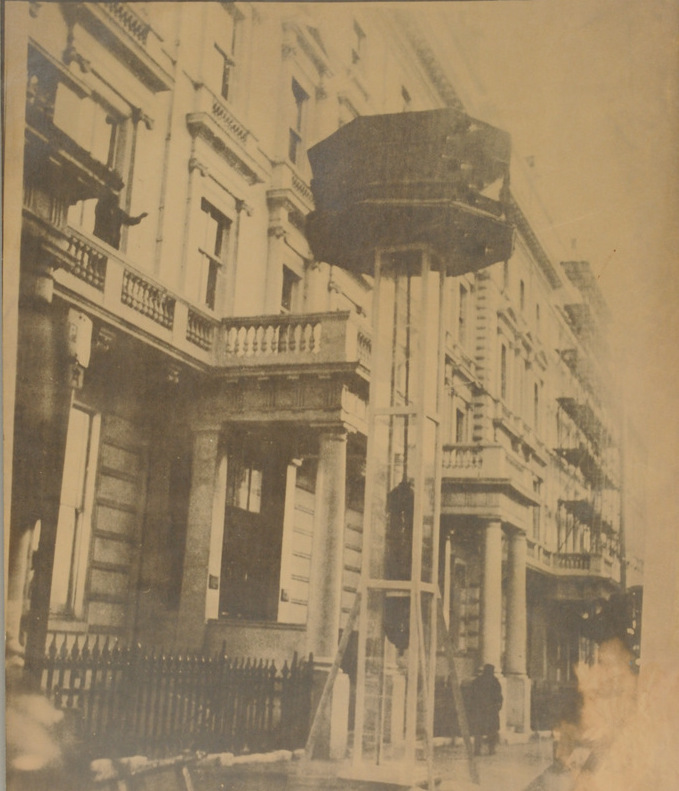 Their work will be informed by archival material relating to Gallery House; the independent, avant-garde gallery that provided a space in London from 1972 to 1973 for artists to work uncensored and without commercial considerations. Flat Time House will become an intensive workshop linking art made on site and discussions with Gallery House participants, such as the curator Sigi Krauss. The project is based on open research and live art practice. This project has been supported by University of the Arts and Flat Time House. The accompanying publication has been supported by Lisson Gallery.